Leila Alcasid is definitely on our radar not only because of her gorgeous looks but also for her goofy online persona. 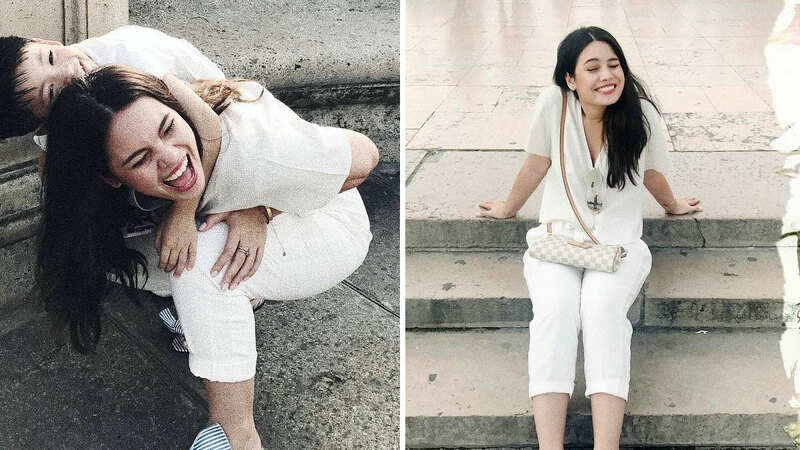 On her recent trip to Paris to celebrate her dad Ogie Alcasid's 50th birthday, Leila just had to get her tourist shot at the Eiffel Tower—and it was one that had us legit cracking up! "When you try to hold the tower but you miss," she wrote on her IG Stories while holding up a, uhm, very interesting pose. HUHU BB girl is too precious! Here she is doing her ~thing~ with that signature smile!